How do I create assignment columns for non-submission assignments in the New Gradebook? On Paper assignments are when you want students to submit an assignment to you but not through Canvas. 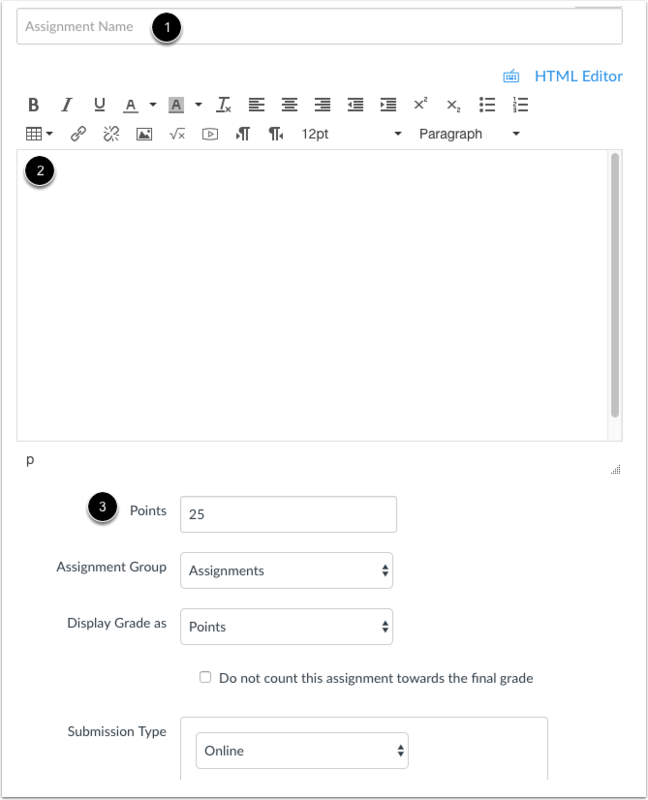 This assignment type applies to traditional face-to-face courses or hybrid courses when you want the assignment turned in during class, but you still want to create a column in the Canvas Gradebook for grading purposes. When students view the assignment, they see that the assignment will be submitted on paper. The Gradebook will display unpublished assignments, but you can not enter grades for unpublished assignments. Not Graded assignment types will not appear in the Gradebook. Note: Along with published assignments, the Gradebook will display unpublished assignments by default, but you can not enter grades for unpublished assignments. When students view a no submission or on-paper assignment, they will not see the Submit Assignment button. They can view the details and point value for the assignment. The Submitting section will indicate whether the submission is on-paper or if no submission is required. 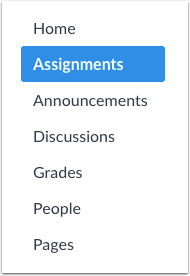 Previous Topic:How do I view the Unpublished Assignments column in the New Gradebook? Next Topic:How do I use the icons and colors in the New Gradebook? Table of Contents > New Gradebook > How do I create assignment columns for non-submission assignments in the New Gradebook?